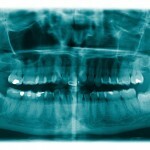 Home » Posts » Dentistry » oral and maxillofacial surgery » Does panoramic radiography predict nerve injury after third molar extraction? The surgical removal of mandibular third molars is a very common surgical procedure. Inferior alveolar nerve (IAN) injury is a potential complication and the incidence of IAN paraesthesia is reported range between 0.4- 8.4%. A number of radiographic signs which might be significantly associated with IAN injury following third molar extraction have been identified These include; darkening of the root, deflected roots, narrowing of the root, interruption of the white line and diversion of the IAN canal. The aim of this study was to evaluate the predictive value of panoramic radiography on inferior alveolar nerve (IAN) injury after extraction of the mandibular third molar. Searches were conducted in the PubMed, Embase, Web of Science, Cochrane library and Springerlink databases. English language studies of IAN injury diagnosed with panoramic radiographs where the patient had surgical extraction of a mandibular third molar that provided enough data to calculate, the true positive (TP), false positive (FP), true negative (TN) and false negative (FN) were considered. Two reviewers independently selected studies and extracted data with study quality being assessed with the QUADAS tool. The effect size of pooled sensitivity, specificity, positive likelihood ratios (PLR), negative likelihood ratios (NLR) and diagnostic odds ratio (DOR) with their 95% confidence intervals (CI) were statistically analysed. The meta-analysis indicated that interpretation of panoramic radiography based on darkening of the root had a high specificity in predicting IAN injury after mandibular third molar extraction. However, the ability of this panoramic radiography marker to detect true positive IAN injury was not satisfactory. We have previously reported on a case controlled study that calculated odds ratios for several radiographic indicators of IAN (Dental Elf – 5th Sept 2012). That study found that narrowing of the roots had the highest odds of an IAN (10.34 (95% CI; 2.3 – 46.6) compared with odds of 1.32(95% CI; 0.8-2.2) for darkening of the roots so it is interesting that his study has focused on just darkening of the roots. It would have been useful to know if the authors had considered searching for any of the other potential indicators or why this indicator in particular had been chosen. The authors highlight the limited number of studies and marked heterogeneity and suggest interpreting the results with caution. Liu W, Yin W, Zhang R, Li J, Zheng Y. Diagnostic value of panoramic radiography in predicting inferior alveolar nerve injury after mandibular third molar extraction: a meta-analysis. Aust Dent J. 2015 Jun;60(2):233-9. doi: 10.1111/adj.12326. Epub 2015 May 19. PubMed PMID: 25988336.